Horizon Organic Low Fat Milk, Chocolate (Pack of 12) only $8.98 shipped! 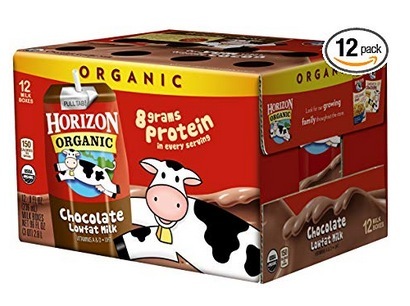 Amazon has this Horizon Organic Low Fat Milk, Chocolate (Pack of 12) for only $8.98 shipped when you clip the 20% off e-coupon and checkout through Subscribe & Save! These are great for school lunches! « *Super HOT* Get 40-60% Off Columbia Outerwear + Free Shipping! !